Hi guys, how's it going? I'm still not looking forward to work on Monday, but that's not surprising. My sleep schedule is completely out of whack. I'm a total night owl at heart so I love staying up until I see the sunrise pretty much. Yeah going into work is not gonna be fun for me at all. At least I was able to take my mind off things while I played with some new polishes from Sally Hansen. 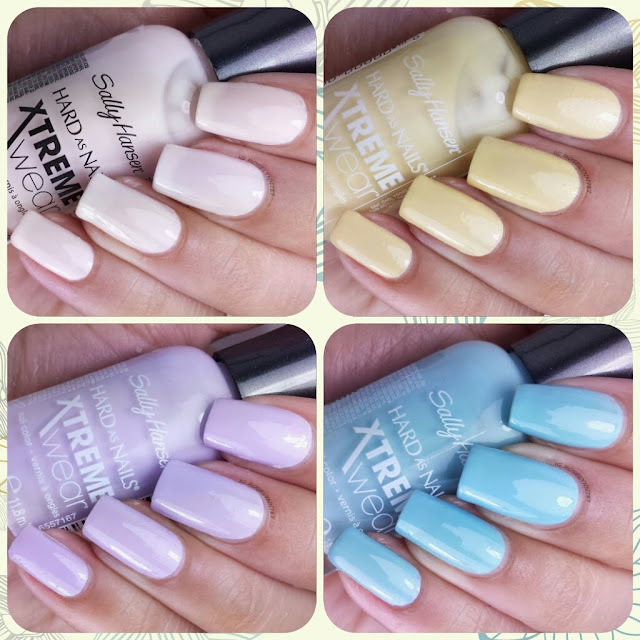 Today I'll be sharing half (4) of the Electric Summer Collection from Sally Hansen's Xtreme Wear line. These are limited edition pastel shades that are freaking beautiful, both in color and in formula. Let's take a closer look! Pearl Up is a neutral-colored jelly polish and the only jelly of the polish of this collection. I have to say this is my favorite one of the collection, hands down. I have already used in a mani the other day and plan on using it over and over again. The color is light enough that it looks great paired with any other shade but looks especially good with neons. Swatch over a clear base coat, used four thin coats, and sealed with a fast-drying topcoat. Because this is a jelly polish, you'll have to layer a lot to achieve opacity. My advice is to wait a little bit between layers to avoid clumping. Teeny Bikini is a soft yellow creme polish. 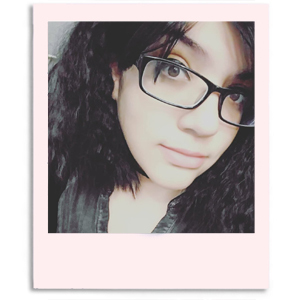 As always, yellow is not really my color but this lighter pastel does suit me better than a brighter one would. I own less than a handful of pastel colors so this is definitely a needed addition to my collection. The shade has many uses all year-round which is great for us nail girls. We need versatility! Swatched over a clear base coat, used two thin coats, and sealed with a fast drying topcoat. I was pleasantly surprised with how opaque the shade was in a single coat. I only really added a second coat to give it a smoother finish. Pretty good formula, it gave me no trouble applying whatsoever. 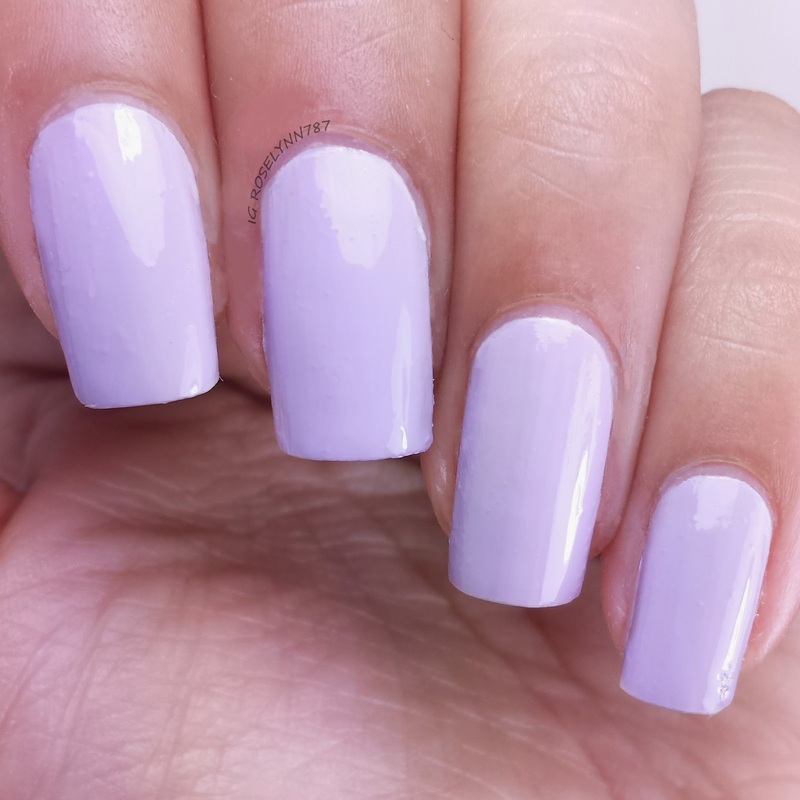 Water Orchid is a pastel lilac creme polish. It reminds a lot of Lacey Lilac, a earlier shade from the Xtreme line. I'll do a comparison post later on this week, keep an eye out. Either way this shade is very soft and feminine. Orchid is the color of the year, if you guys didn't know. This actually used to be my favorite color growing up (I had my whole room in this color) so it has a spot in my heart. Makes me remember the good ol' days, haha. Swatched over clear base coat, used thin coats, and sealed with a fast drying topcoat. Formula had a good consistency and didn't give me any trouble while applying. You'll find it to be a little on the sheer side in a single coat so definitely add the second for a finished look. Wet Suit is a bright baby blue creme polish. I don't know if you guys noticed but these swatches actually have a longer nail length. I chipped a corner between swatches so had to file my length down. Anyway this color really can speak for itself, it's electric but soft all at the same time. LOVE it. I personally didn't own another shade quite like this one so I'm really excited. Looks so good against my skin complexion. Swatched over clear base coat, used thin coats, and sealed with a fast drying topcoat. Great formula and consistency, no trouble while applying. Like the others, this is a bit sheer in a single coat but all you need to a thin second one for a finished look. I'm so happy with these polishes that I cannot even pick a favorite among them, they're all must-haves. I love the Xtreme line by Sally Hansen for a lot of different reasons. One of the main reasons, however, is simple....watermarbling. I'm not watermarble expert but this line of polishes is what I always use for all my watermarble adventures. They spread really well and are usually opaque in a single coat. If you haven't given them a try, I highly recommend that you pick yourself a few to try out. In my next post I'll be showing you guys a watermarble mani I created using all the polishes in this post. Stay tuned! Overall these polishes are cute, practical, and have really good formulas. Pearl Up feels like such an odd one in the bunch. Like the black sheep of the family who had to be a rebel jelly among all the cremes, haha. But it's honestly a freaking awesome polish that you guys will be seeing a lot of from me in the future. I have to get my hands on the rest of this collection and once I do I'll definitely share swatches with you guys. You guys can find this collection by Sally Hansen at your local Walgreens, CVS, etc and they retail for around $2.99 each. So tell me guys, which one is your favorite out of four? Do you guys have any of rest from this collection?